Muslim history began in Arabia when Muhammad recited the Quran in the 7th century. The historical development of Islam has affected political, economic, and military trends both inside and outside the Islamic world. As with Christianity, the concept of an Islamic world is useful when one looks at different periods of human history. After Muhammad died, the Muslim leadership was assumed by Abu Bakr. He was followed by Umar, Uthman ibn Affan and then Ali. These four are called the Rashidun caliphs which means The Righteous Caliphs. 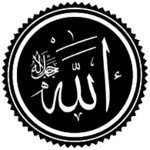 The word caliph means religious and spiritual leader. Under these caliphs Islam became one of the most important religions of the middle East. Administrative offices of the Muslim nation were established. Under Umar more than two thirds of the Eastern Roman Empire was conquered by the Muslims. Umar also started the Muslim calendar. The first civil war in Islam, also known as the First Fitna broke out in Islam during the rule of the fourth caliph Ali and lasted throughout his caliphate. The third caliph Uthman ibn Affan had been murdered by rebel Muslim groups who had political motives. After Ali took over, the most important problem he faced was that of punishing those responsible for murder. However many people felt that before accepting the position of the caliph, Ali should have focused his attention on finding and punishing the murderers. A group of people led by Muhammad's wife Aisha, her brothers in law Talhah and Zubair ibn al-Awam refused to recognize Ali's caliphate. They instead raised an army which met Ali's army at Basra in Iraq, originally for the purposes of negotiations. In the night, some fighting broke out, probably out of confusion or due to rebel groups who were involved in the infamous murder. This led to the Battle of Bassorah (also known as Battle of the Camel) in which Ali's party emerged victorious. Aisha was escorted back to Medina honorably after the battle by Ali. This battle however did not entirely finish the tension in the Muslim empire. Ali was soon challenged by Muawiyah, the governor of the Muslim provinces of Syria. He too raised the issue of punishing Uthman's murderers and refused to acknowledge Ali as caliph until the issue had been solved. Muawiyah was a kinsman of Uthman and his army pledged to bring to justice the murderers and those who sheltered them. This reference to people who are sheltering the murderers was towards Ali and his followers. Accordingly, the two groups met and fought a battle, called the Battle of Siffin. This battle ended in a draw and so both groups decided on arbitration which also did not lead to any concrete decision. Another group of Muslims, The Kharijites who had previously been with Ali, meanwhile rejected him because they felt that he was not following true Islam and conducting business over the caliphate as if it were his own property. In the following years Ali's governors could not prevent his losing provinces to Muawiyah who increased his strength by further expanding his army. Ali had shifted the capital of the caliphate from Medina to Kufa in 656. He was killed by a Kharijite assassin in Kufa in 661. This page was last changed on 19 March 2019, at 21:17.